Porcelain and ceramic tiles are among the most sought-after finishing materials. However, the question of what it is to choose for decoration of a house, apartment or office space, still remains relevant. It is difficult to say exactly what is better - porcelain stoneware or ceramic tile - it is difficult, since each material has its own characteristics. In this article, we will make a comparison of these materials and learn about the best options for the use of ceramic tiles and porcelain tiles. 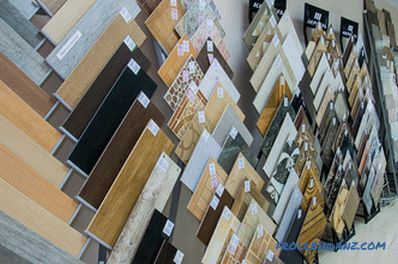 The features and properties of porcelain tiles and ceramic tiles are primarily due to the technology of manufacturing materials. To better understand the characteristics and the logic of their use, it is worth a little more to get acquainted with the nuances of the production of tiles of both types. # 1. Clay. For the production of tiles using refractory or refractory grades of clay. In this case, the first option is preferable because it allows you to get a more durable material. # 2. Quartz sand. Required for increased durability and preservation of the shape of tiles after firing. # 3. Feldspathic compounds - a mixture of minerals, sodium aluminum silicate and potassium. Provide raw materials viscosity sufficient to form and increase the strength of the material under the influence of high temperatures. If necessary, the raw materials are supplemented with various additives - plasticizers, fluxes and steam-forming components for the rapid removal of moisture. roasting at a temperature of 900 to 1300 degrees. 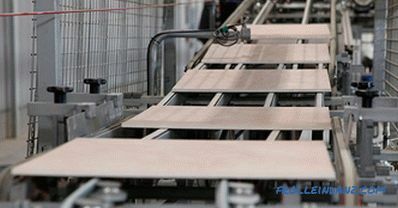 After the processing of the tiles is completed, the sorting is performed - the firing uniformity and the thickness of each product are evaluated, and the failed elements are rejected. 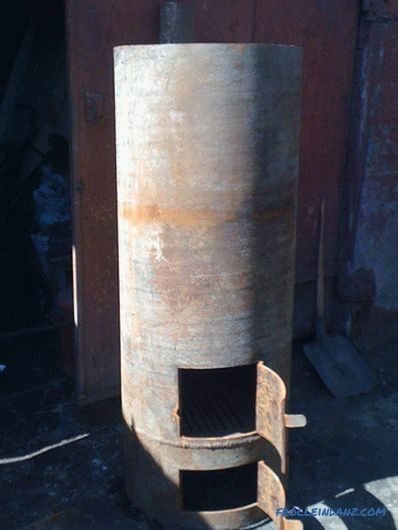 There are two cycles for the production of ceramic tiles - with one or with double firing. The double fired material, also known as bicotture , is twice exposed to high temperatures to create the base and fix the enamel. Such tiles are more fragile and porous, and therefore suitable only for wall decoration in rooms. Ceramics that have gone through one firing cycle, but after pressing under increased pressure and at higher temperatures (up to 1200 degrees), are called monocoil. Such a tile is thicker and more durable, which makes it possible to use it both for creating flooring and for interior and exterior walls . For the production of porcelain stoneware, press powder obtained from the slip is used. # 1. White clay (kaolin). Required for high viscosity, strength and fire resistance of finished products. # 2. Illite clay (sheet silicate formation). It gives greater plasticity in the process of molding products, and further allows to obtain a homogeneous material with high mechanical stability. # 3. Feldspar. Provides porcelain stoneware resistance to aggressive chemicals. # 4. Quartz sand. Required for wear resistance and hardness. # 5. Mineral dyes (entered into the finished press powder). 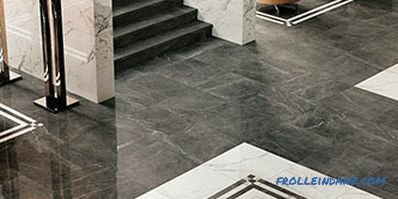 polishing or polishing tiles (for certain types of porcelain tiles). With the exact observance of technology, porcelain stoneware acquires a special, incredibly strong, smooth and uniform structure, without any foreign inclusions and internal voids. The similarity between the production of ceramic tiles and porcelain stoneware is obvious. However, even if a small, but still difference in the components for the raw materials and the use of higher pressure and temperature in the manufacture of porcelain stoneware tell even more differences between the materials - they will be discussed below. In order to choose the material in the end, it is necessary to be aware of the differences and similarities between tile and porcelain stoneware indicators. In order to make the comparison more objective, as an opponent for porcelain stoneware, we will choose a tile called monocotura. It is not correct to compare porcelain stoneware with bikottura tiles, as this material obviously loses to porcelain stoneware. The hardness of porcelain stoneware is at a high level and on the Mohs scale can be set to 8, which is harder than natural granite. This allows it to be used in places that are characterized by high mechanical loads. However, the ceramic tile of the same thickness is practically not inferior to it, but it has a lower hardness indicator. The strength of a material is influenced by its structure, so that porcelain stoneware homogeneous throughout the thickness is better because it demonstrates high strength to mechanical loads. More porous types of tiles differ in relative fragility - a point impact on a material with a heavy object can lead to the formation of noticeable cracks. PEI I is the minimum stability class. Both materials of this class can be used for dining rooms, bathrooms and bedrooms - in a word, rooms with minimal maneuverability and stable temperature. PEI II. The tile of this class is slightly more resistant to abrasion, which allows its use for dining rooms, kitchens and bathrooms in apartments and cottages. PEI III. It is optimal for verandas, terraces, loggias, halls and balconies in cottages and large apartments. .
PEI IV. 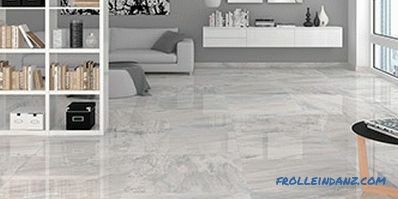 Porcelain tiles and tiles of this class are highly resistant to abrasion, so they are used for finishing floors in hotels, cafes and restaurants, stairways of residential buildings and offices. PEI V. The materials are suitable for places with high attendance, since they have maximum wear resistance. But even here there are nuances: ceramic tiles of this class are more often used for restaurants, clinics and business centers, while porcelain tiles are more popular for decorating halls and stairs in hypermarkets, shopping centers, airports and railway stations. Because of the difference in manufacturing technology, ceramic tiles are still more susceptible to abrasion and fading of the color of the pattern. In the production of porcelain stoneware, coloring pigments are added directly to the raw materials, so that the color is autumn resistant and does not change with time. Comparing what is better - porcelain stoneware or ceramic tile for the floor, you should focus not only on abrasion resistance, but also the sliveriness of the material. So, matte, lappatirovanny and satin porcelain tiles are safer, because they have a minimal tendency to slip - in contrast to more smooth and, as a rule, glossy ceramic tiles. The frost resistance of ceramics is determined by such an indicator as water absorption. Due to its homogeneous and non-porous structure, porcelain tile has a water absorption coefficient of 0.05% and lower and thus demonstrates high frost resistance. This indicator can vary from 100 to 300 cycles. As regards ceramic tiles, the minimum water absorption for its most dense varieties is 1%, and for biccotra it is 10% at all. As a result, the tile's resistance to water is 50 cycles. 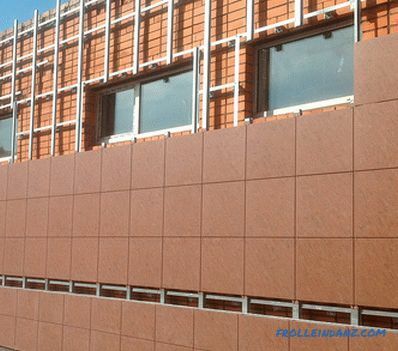 Thus, porcelain is a more suitable solution for exterior finishing work. Ceramic tile is much more affordable because even designer collections of materials are sometimes much cheaper than modern satin, lappatirovanny or structural ceramic granite . However, matte porcelain can cost a little less, but because of its modest appearance, it is not always suitable for interior decoration. The choice between the two materials in this case depends not only on preferences, but also on financial possibilities - most often, finishing with ceramic tiles is much cheaper, despite the fact that the interior is very effective. Modern ceramic tile is an amazing variety of shades, textures and patterns. 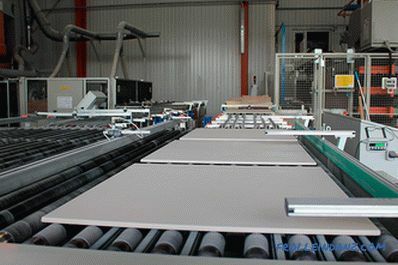 Features of the production allow you to perform on the surface of the material almost any ornament, and therefore the range of collections of ceramic tiles today is unusually wide. 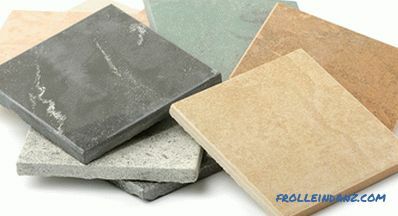 As for porcelain stoneware, it is characterized by a much smaller choice of design options and colors. Structural material with different surface relief and glazed porcelain tiles with a bright pattern look elegant and expensive - but they cost accordingly. 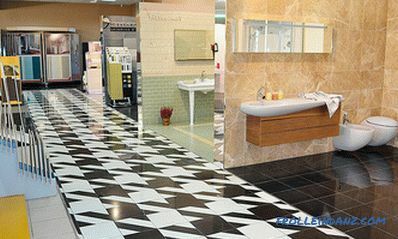 If you need a stylish and harmonious interior decoration with a moderate budget, then ceramic tile is still preferable. The minimum weight of one square meter of ceramic tile is approximately 10 kilograms. The weight of one square meter of porcelain stoneware of the same thickness is about 20 kilograms. This is due to the more dense structure of the material, which does not allow any internal voids. When laying the material on the floor, more weight is more of an advantage, and therefore, in some cases, porcelain tile wins. However, for wall cladding it is still recommended to choose lighter materials - in this case, the cost of glue will be lower, and fixing the tiles will be more reliable. When using porcelain stoneware for wall finishing, it is necessary to remember that this is a very heavy material and the walls must have such strength that would allow it to withstand all this. 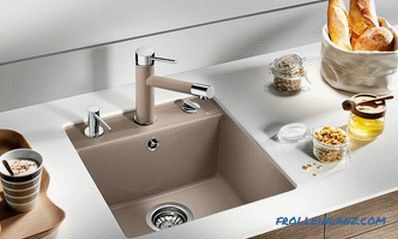 the need for additional fixation when installing porcelain stoneware on a horizontal surface. 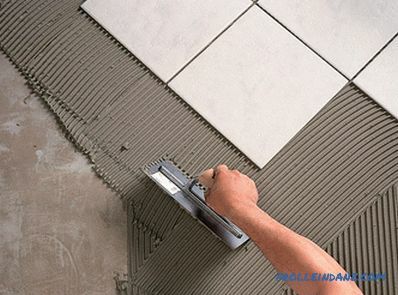 It is obvious that laying of porcelain stoneware is more difficult than installing ceramic tiles. But at registration of a floor the bigger weight and the size of material can be more advantageous. Characteristics and features of porcelain tile and ceramic The tiles allow them to be used in a variety of finishes, providing optimal design and functional solutions. Facing the walls and floors of residential premises of a small area in apartments and cottages. Limited budget - the tile will be much cheaper with good technical characteristics. The desire to create a unique interior - a variety of design options is one of the advantages of ceramic tiles. 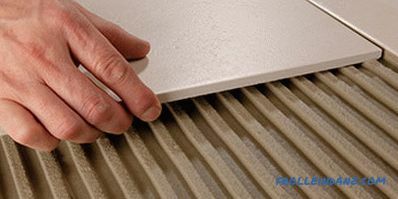 The need for a fast and reliable finish - the process of laying ceramic tiles is somewhat simpler. 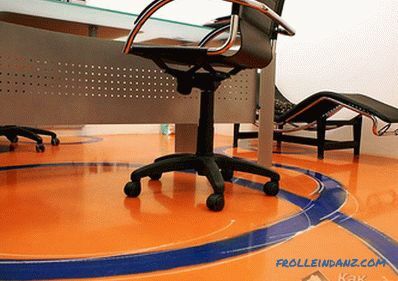 Finishing of floors in public places with high traffic - shopping centers, offices, banks, clinics, catering establishments, educational institutions. 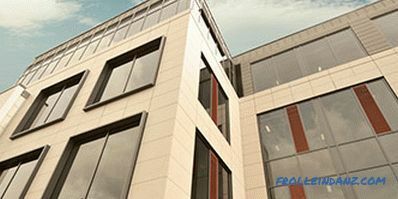 Facing the walls of buildings from the outside - due to the strength and frost resistance, porcelain tile is best suited. Laying of floors on terraces, verandas, loggias, dining rooms and halls of country houses. When choosing, you need to take into account a whole number of factors - including temperature and humidity, room flow rate, design project features , unique characteristics of materials and features of work with them. 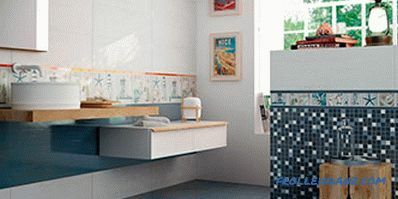 Porcelain and ceramic tiles can not be called rivals - rather friendly options for durable and beautiful finishes. 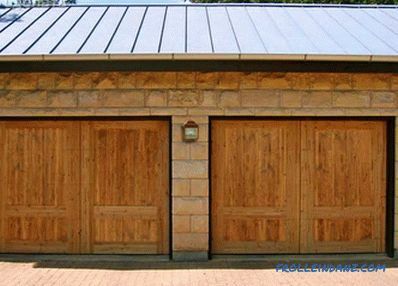 By choosing the material wisely, you can achieve an impeccable result with minimal effort and finance.